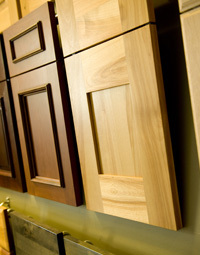 Classic Woodcraft manufactures wood cabinet doors that bring natural warmth and beauty to any project. We continually work to provide you with a high quality product, on time, and at a competitive price. We purchase only top quality hardwood and our dedicated management and staff assure total customer satisfaction. Our facility uses both tradition and highly automated equipment allowing us to meet the demands of any sized project.